** This giveaway has ended and the winner has been selected. Thank you to everyone who entered! You guys have heard all about how much we are using + loving our Soleus GPS watches and now I want to share the wealth and let you guys know how you can win one! 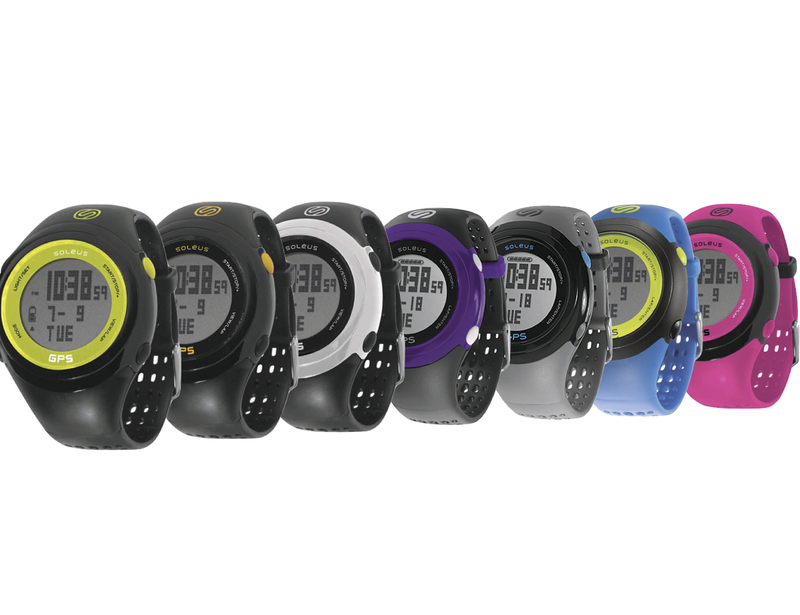 This giveaway is for 1 Soleus GPS Fit watch, in the color of your choice! To enter, simply click here to bring up the entry form. ** Please note once you’ve done one of the actions for an entry, you have to go through the entry form link and click it to actually submit your entry!! Liking Making It With Danielle on Facebook. Liking Soleus Running on Facebook. Following @Soleus Running on Twitter. You can gain 2 additional entries by leaving a comment below and letting me know how you’ll use your Soleus GPS Fit watch if you win! – What you’d like to see more of in my upcoming summer posts! The contest starts today and runs through July 1st. Happy entering and THANK YOU for getting me to 7,000 followers!! Hi Danielle! Super excited about this giveaway! I’ve done a few sprint triathlons and am training for my first olympic distance this fall. This watch would really help take my workouts to the next level and help me to track my progress. Wow, good for you… that’s seriously inspiring! Happy birthday as well. Thanks for entering the giveaway, I’ll be announcing the winner later today – good luck! I start training for the NYC marathon next month. It will be my first time running New York. After 4 times, I was finally picked in the lottery. I would use the Soleus Fit to train for NYC! You guys are making me feel like a couch potato compared to you! So awesome for you, that race should be really exciting! Thanks for entering the giveaway, I’ll be announcing the winner later today – good luck! I’d give this to my daughter. She’s going to be starting medical school in a month and it would be useful for her to keep track of her fitness. Keeping up with fitness is going to be tough because she will be so busy, but I think with the Soleus, she could do it! You’re a great mother for thinking of your daughter in this way! You must be proud of her too starting medical school. Thanks for entering the giveaway, I’ll be announcing the winner later today – good luck! OH my gosh! This would be awesome for my hubby! He would use it for everything! So cool that a lot of you are thinking of ways this watch could help others! Thanks for entering the giveaway, I’ll be announcing the winner later today – good luck! This would definitely help you track that! I am sorry to hear you didn’t enjoy your fitbit – hopefully you can win this + make up for it! Thanks for entering the giveaway, I’ll be announcing the winner later today – good luck! I would give the watch to my mom! She’s lucky to have you being so thoughtful! Thanks for entering, I will be announcing the winner later today… good luck! Already like MIWD on FB! Thanks for following! Sounds like you have a lot going on – this watch would definitely help you out with your goals! Thanks for entering the giveaway, I’ll be announcing the winner later today – good luck! ← Soleus Watch Review + Giveaway Announcement!